Last week I was looking through my cupboard, trying to think of something fun to make for dinner that would still be fairly healthy. 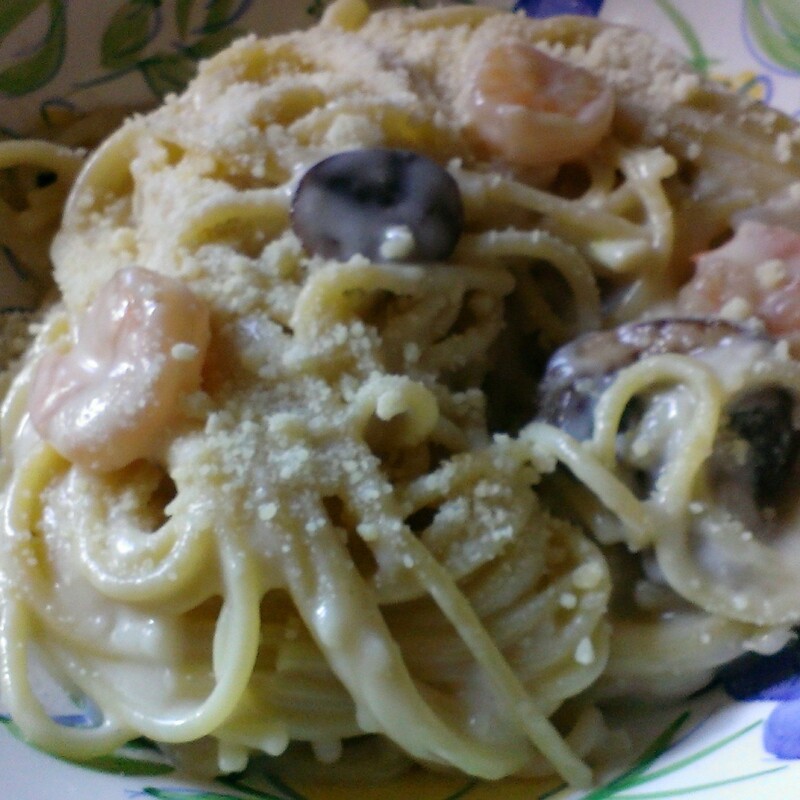 Italian food is one of my favorites, so I replaced a few of the ingredients, and came up with this lighter shrimp tetrazzini recipe. It was a big hit at our house (Bud had seconds!!) I hope you like it!! Summary: A lighter version of a delicious, but heavy, favorite. Add onion and oil to saucepan set on medium-low heat. Cook for five minutes, stirring often. Remove shrimp mixture to a large mixing bowl, set aside. Combine flour, Miracle Whip Light, salt, lemon pepper, garlic, milk and sherry in the saucepan. Cook over medium-low heat and cook until sauce thickens. Pour sauce into the bowl with the shrimp mixture. Add spaghetti and toss thoroughly.